The first time, I walked past the French church. It wasn’t a big churchy building, just two glass doors that if you looked, you could see there was a churchy space. This is midtown Manhattan, not a particularly churchy place. I was only twenty minutes late. I had gotten in my head that I needed to leave the bookstore half an hour before the service, but then somehow that time got moved in my head to the time the service began. I’m kind of expert at that kind of thing, whether from subconscious impulse or slipperiness about numbers. Late to French church, I opened a door and turned around to make sure it closed quietly. They were chanting. An icon at the front, and lots of votives burning. Twenty old pews. Mine creaked when I sat down. The light fixtures were those pretend candle things, hanging one by one down the length. Plaques on the walls were in French. Ten people sat in their own pews. I hoped I might know some of the chants—I have been to some Taize things before—but I didn’t, so I listened until I got part of it, then joined in when I had it. You can always be late to church because God is happy to see you any time. We chanted in Latin, German, French. I wasn’t sure if I liked having to think about what the words meant. I knew I loved singing again, though. The Episcopal church I’ve been going to doesn’t sing at the evening service. The trains home were a little bit of a pain, by which I mean I had to transfer at least once, maybe twice. I decided to go through Grand Central, just so I could look up into her skies. Went upstairs, and they were having a press conference about the power failure that is keeping Connecticut people from getting into the city. 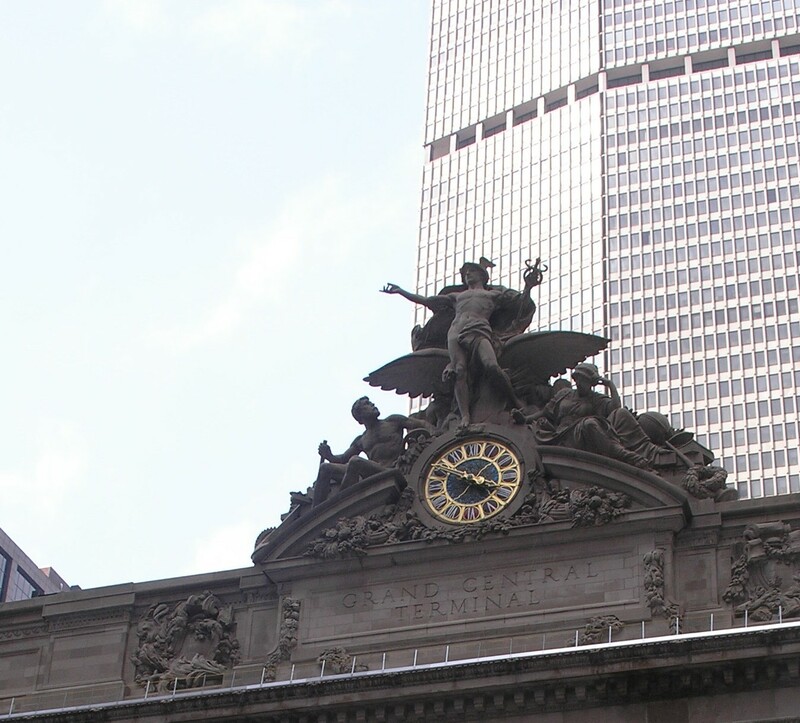 It was the first time I had been to Grand Central since I moved, and I felt funny. When I was out here for school, I thought that walking through Grand Central without awe was the saddest thing I could imagine. That the most important thing to avoid in life is lack of awe. Which is still true, now that I am almost twenty years older. It was still beautiful in there, even though I live here, and it was a Thursday, and people were, as they always are, stopping to take photos. It is both a very everyday, business place and a famous and romantic place. Like every place you go.